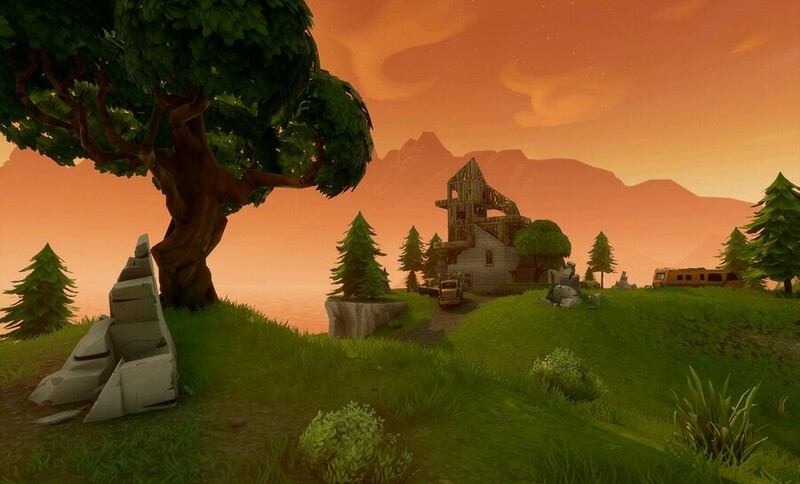 Finding the treasure at the vague location between a playground, campsite, and a footprint is one of the tougher challenges in week six of season four in Fortnite. Complete it and you'll get a bunch of XP that goes towards those tasty season four rewards though. Once you've done so, you can get started on the other tough challenge from this week, spraying omega and carbide posters. In this guide, we'll detail the exact location of the treasure, and provide a few tips and tricks on how to complete it with a bit more ease. How do I search between a playground, campsite, and footprint in Fortnite? 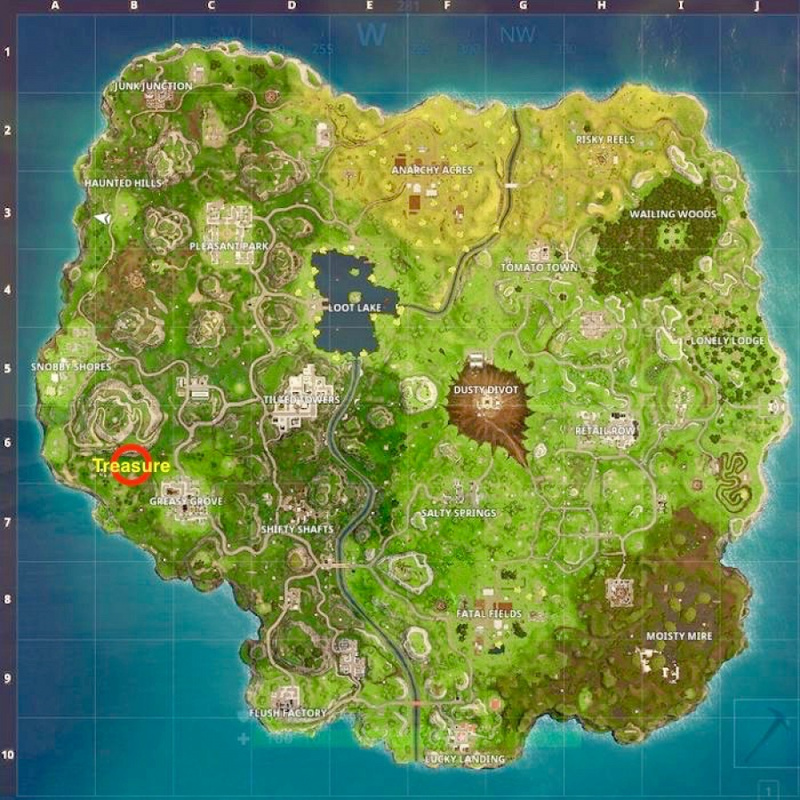 To complete this challenge, you have to find the location described, which is between a playground, campsite, and a footprint. Find the exact location between these three objects and you'll find a treasure. Hold square to grab the treasure and you'll complete the challenge. You do have to be a Battle Pass holder to find the treasure though. If you don't have a Battle Pass, you'll find nothing at the location. Now, let's take a look at the exact location you have to head to to complete the challenge. Where do I search between a playground, campsite, and footprint in Fortnite? You'll find this treasure just to the north west of Greasy Grove, by the cliff's edge. Make your way over to the cliff and look west towards the ocean. You should be able to see a campsite. If not, take a look at the map below and try and pinpoint the exact location. With the campsite on your right, head directly south and you'll find a mud patch in the grass just in front of a tree. That's where the treasure will appear, so head right over to it. Push square when the prompt appears and the treasure is yours. Challenge complete! You have to complete this particular match of Fortnite to mark this challenge as complete. Quitting out will cause it to fail, so you'll have to start all over again. Don't be that guy. This challenge should be easy enough to complete even now, when everyone else is heading to that location. You might want to get there right from the Battle Bus though, so you don't have to contend with players armed up to the nines. You might still die of a pick axe to the face, but you should have enough time to pick up the treasure first. If you're the squeamish type, you could wait a week or so for the area to cool down a bit too. Now you can take on the other tough challenge from this week, spraying omega and carbide posters. Enjoy! 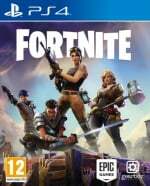 This guide can be useful to get free v bucks online.